It is this year’s edition of the exhibition series Junge Szene, which was initiated in 1983 and takes place every two years at the Secession. Originally reserved to the art scene of Vienna, today it has become an international platform for young artists. 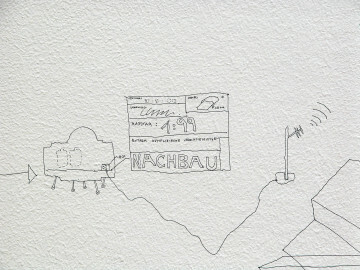 Daniel Baumann has invited 21 artists to develop their projects on site. 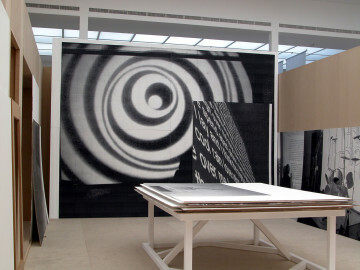 The exhibition does not focus on new trends, but rather on individual positions, which develop from very different considerations of form and content. Context, Form, Troy is presented in an open mode—there are no presentation walls—so that different positions can enter into a dialogue or dispute with one another. 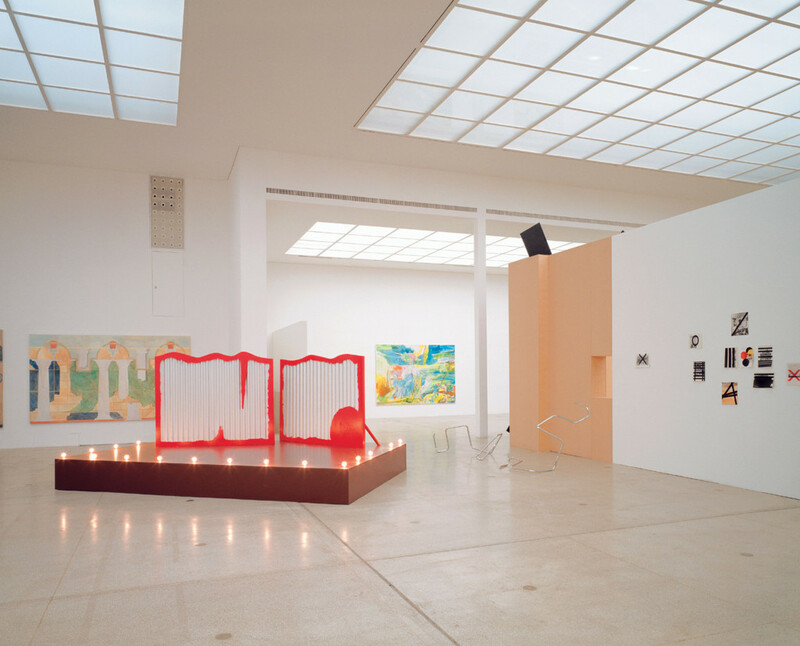 The title of the exhibition indicates principles, on which the works are based: being anchored in both the social and the art context, formal precision, and—with the reference to the Trojan horse—staging foreign bodies in an existing system. 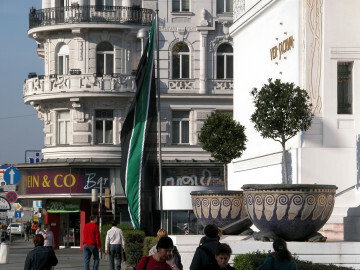 Outside, Kalin Lindena replaces the official flags of the Secession with new ones sewn by the artist. 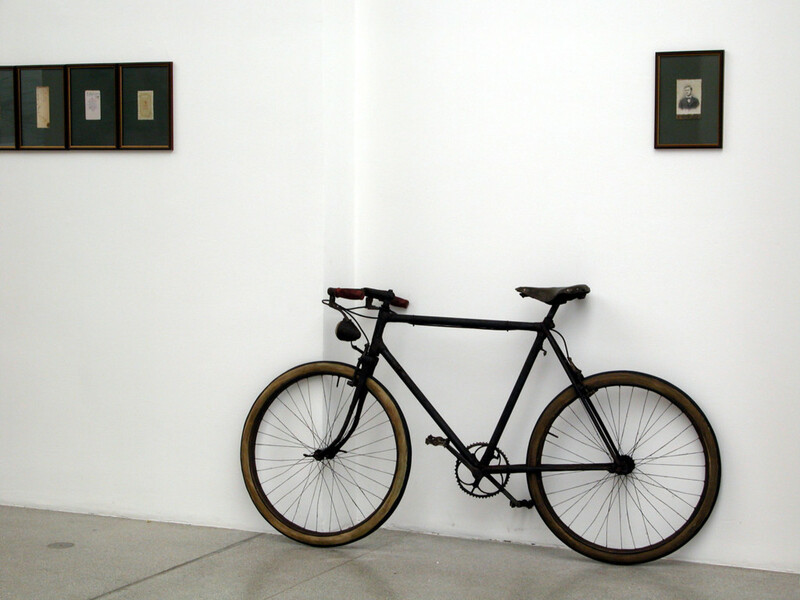 In reference to the year the Artists Association was founded, Roland Kollnitz installs a climbing pole 1897 cm high—as an athletic option for climbing beyond that. 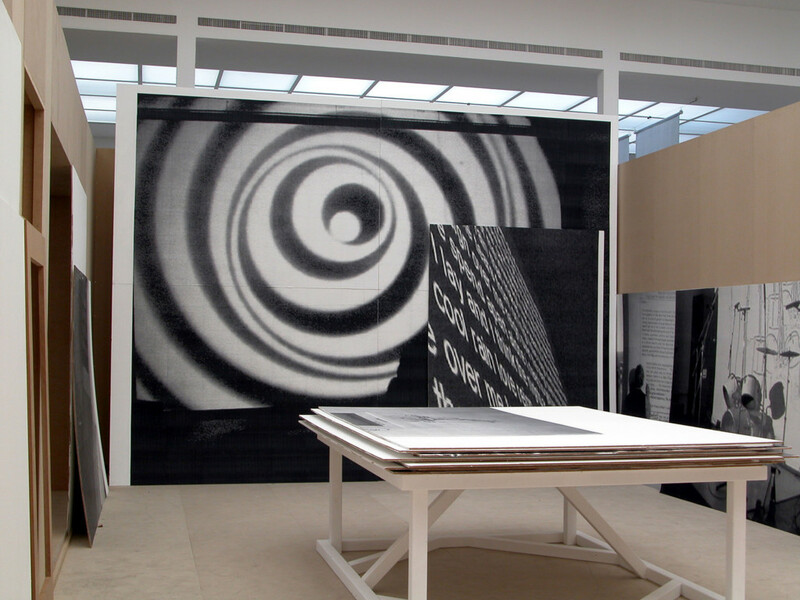 The X-sculptures that Wade Guyton leans against the facade are equally site-specific. With his intervention he reactivates the aggressiveness of Modernism and reacts to the delicate ornamentation of the building. 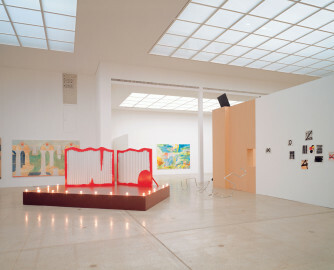 In the main room there is a model of Oskar-von-Millerstrasse 16, an exhibition location in Frankfurt, in which Michael S. Riedel and Dennis Loesch have produced exhibitions and events. Four events—an exhibition, a film screening, a DJ session and a theater production—have been pre-produced for Context, Form, Troy. Announcements of the events in the city refer to the events as a copy of the original. 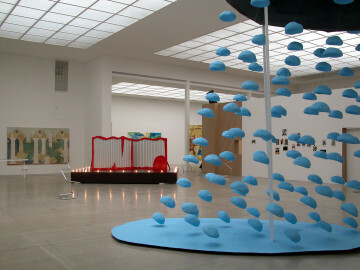 In contrast, the event on the stage designed by Mai-Thu Perret never takes place. The play thus remains imaginary and the props arranged by the artist are not used. 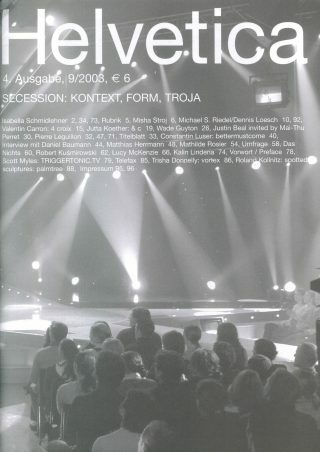 In this context the stage set becomes a sculpture. 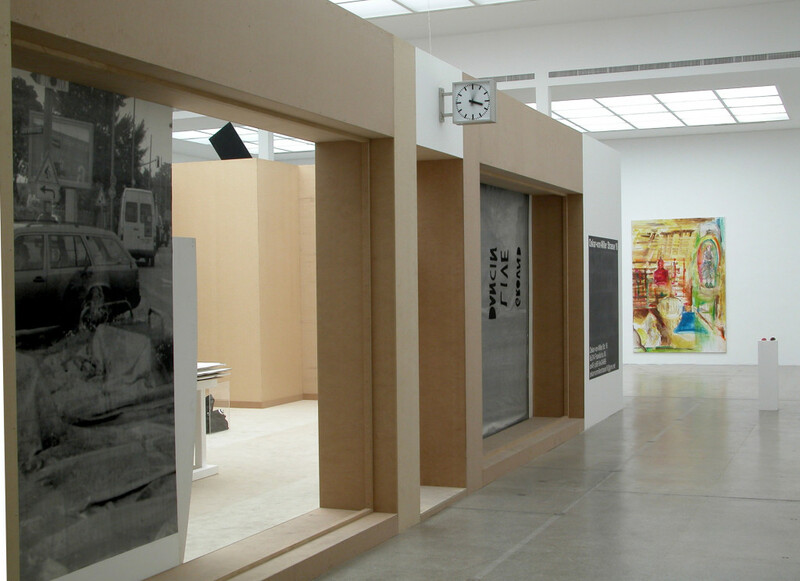 The slide show by Pierre Leguillon is also only present throughout the duration of the exhibition as an announcement. 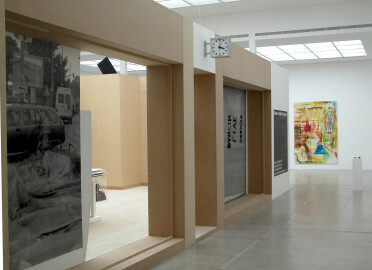 At the beginning and the end of the exhibition the artist shows a “Diaporama”, a visual exploration of art history that takes up the event character of a varieté. Robert Kusmirowski photorealistically copies historical documents. For this series he transfers the back side of photographs to watercolor. 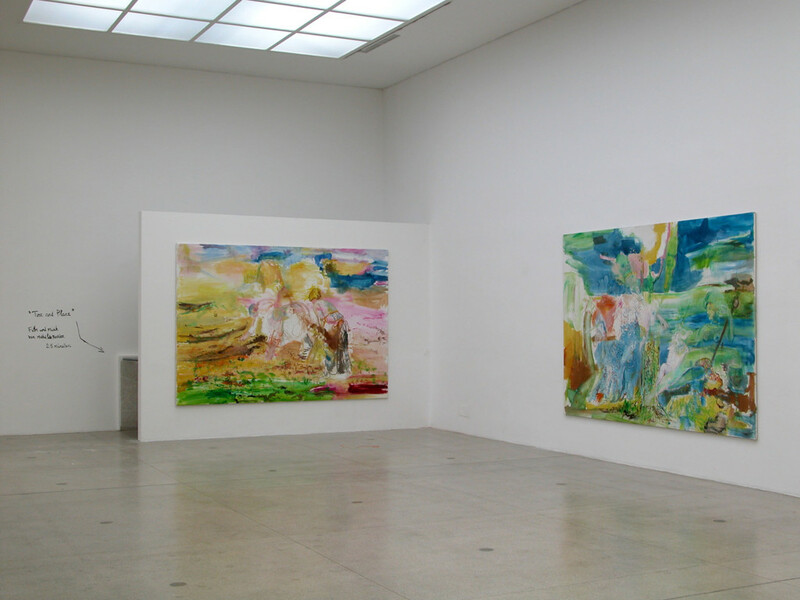 Isabella Schmidlehner derives the motifs for her painting from diverse sources; she shifts the motifs to a different sphere, breaking their harmony through color and manner of painting at the same time. 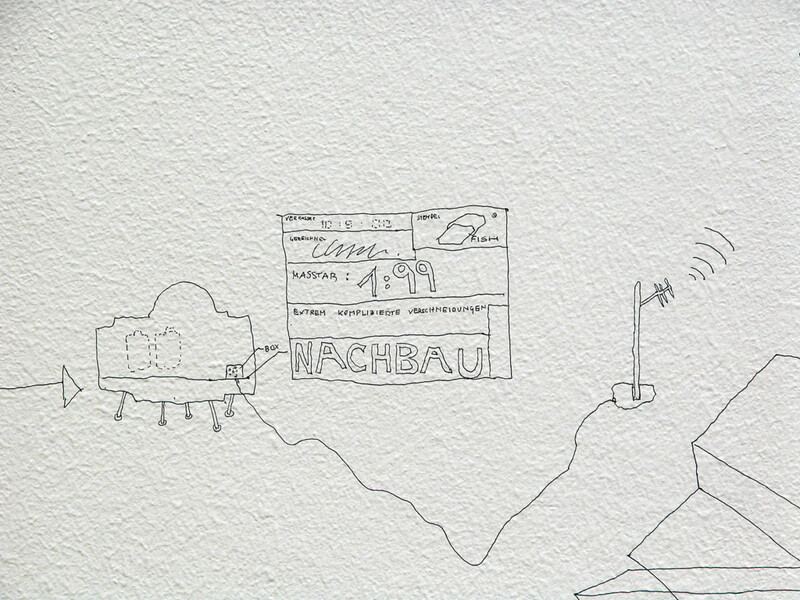 In her painting Lucy McKenzie repeatedly investigates the (socialist) wall paintings found in the landscape of a city, such as those in Vienna on council houses. The artist thus addresses a direction in painting that has been neglected by European art studies. McKenzie’s four-part picture cycle If It Moves, Kiss It cites a vandalized monumental wall painting from Stanley Kubrick’s Film A Clockwork Orange. The work group is supplemented by three letters written to the artist by a friend in prison. 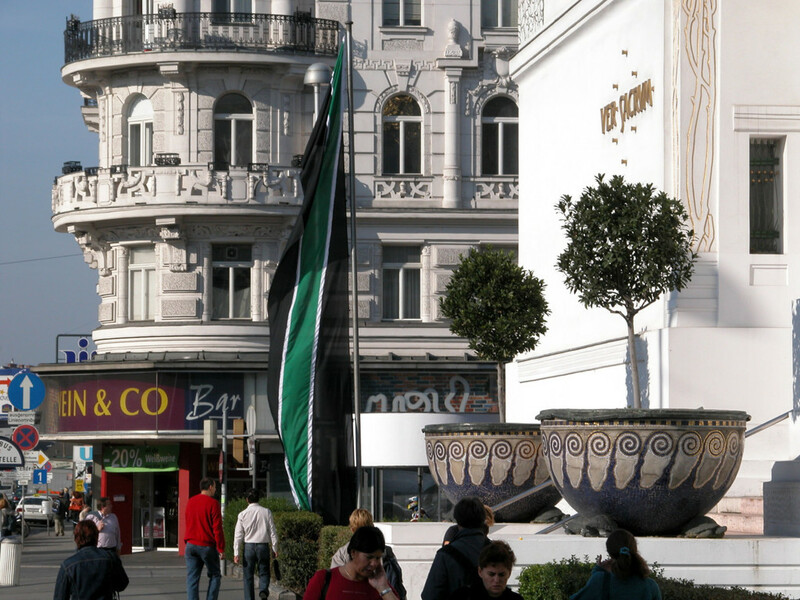 Valentin Carron isolated a series of flags from the film The Great Dictator by Charlie Chaplin, so that the flags take on an ambiguous character in this context. The issue of the monumental is also the point of departure for the installation by Misha Stroj. He reformulates the centuries-old and highly charged symbolic language of the icon. 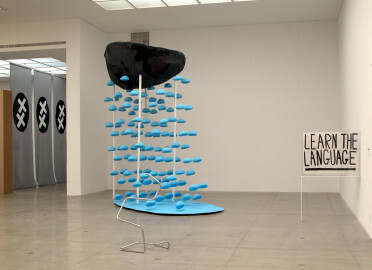 Constantin Luser’s interactive sculpture, consisting of a synthesizer and open cables, corresponds to the wall drawing he has realized as a narrative circuit diagram. The drawing spreads out like a wildly proliferating plexus on the wall and imbues the work with a space-filling character. Scott Myles positions his discreet interventions (Learn the Language, The End of Summer, Ice-cream Paperweight) in the space so that they can be read as a commentary on the exhibition. Trisha Donnelly plans a performance on her two video projections Canadian Rain and El Cid for the finissage. 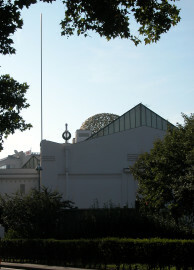 Mathilde Rosier’s film Time and Place (2003), shown in the former Secession cafe, condenses a feeling of estrangement.